The meeting at the Gardens during the weekly working bee heard that the Tamborine Mountain Garden Club had voted without dissent to cede management of the Gardens to the new entity. The Tamborine Mountain Garden Club had managed the Gardens since its foundation in 1983. Scenic Rim Regional Council has also agreed to transfer its funding agreement to the new entity. 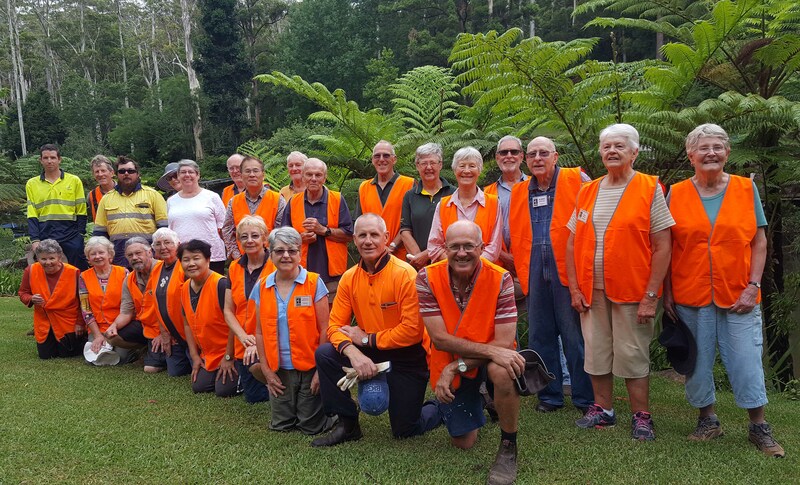 Tamborine Mountain Botanic Gardens Inc Chairman Roger Bell said membership of the association was open to all members of the community who wish to join in working at the Gardens. “Volunteering at the Gardens provides a great reward,” he said. “We work together every Thursday morning on a variety of relatively light duties to maintain and develop the 11-hectare site,” he said. Mr Bell also announced to the meeting that an affiliate, to be called Friends of the Tamborine Mountain Botanic Gardens, would be set up to embrace residents who wish to contribute to the improvement of the Gardens without being able to volunteer time to work in the Gardens. If you would like to learn more about the Friends of the Tamborine Mountain Botanic Gardens, please phone Denby Browning on 5545 0869.